Food Pairing Excellent with seafood and raw fish – try it with raw Dublin Bay prawn. Exquisite with delicate white meats, such as baked rabbit. 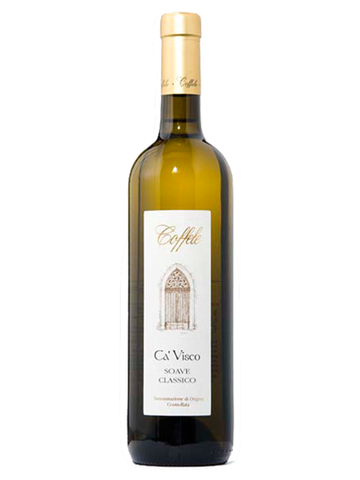 And from a perfect combination of Garganega and Trebbiano di Soave was born… Ca’ Visco. 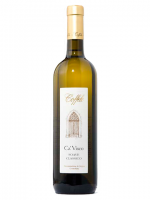 The wine is aged in steel and charms with its aromatic nuances and initial softness, but finishes with a lively acidity. it is pleasantly surprising in its ability to evolve over the years. The wine opens up with a rich array of aromas. Its mineral base releases citrus fruit notes of citron, pink grapefruit and tropical fruit too – white peach, elderflower and lime blossom. The wine opens up with a rich array of aromas – apple, pear, passion fruit, pink grapefruit, chamomile, and mint – and develops distinct peppery notes with a few minutes in the glass. The wine is dry, with an acidity that sneaks up on you, leaving your palate clean after the long, mouthfilling finish. 100% Organic.